Jafari Fesharaki, P. (2018). The Most Cost Effective Gas Cleaning Device in Steel Industry with Industrial Ecology Approach. International Journal of Iron & Steel Society of Iran, 15(1), 40-48. P. Jafari Fesharaki. "The Most Cost Effective Gas Cleaning Device in Steel Industry with Industrial Ecology Approach". International Journal of Iron & Steel Society of Iran, 15, 1, 2018, 40-48. Jafari Fesharaki, P. (2018). 'The Most Cost Effective Gas Cleaning Device in Steel Industry with Industrial Ecology Approach', International Journal of Iron & Steel Society of Iran, 15(1), pp. 40-48. Jafari Fesharaki, P. The Most Cost Effective Gas Cleaning Device in Steel Industry with Industrial Ecology Approach. 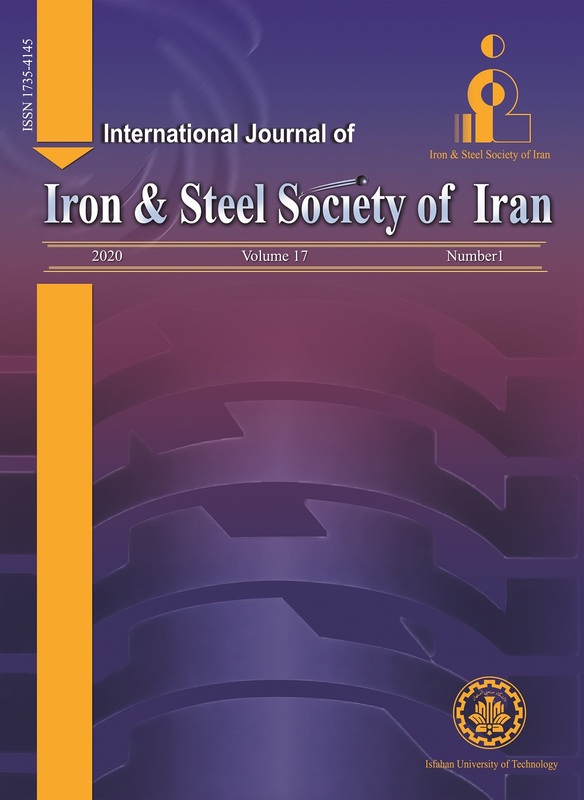 International Journal of Iron & Steel Society of Iran, 2018; 15(1): 40-48. Industrial growth and environmental damages, as two important indicators in sustainable development are followed by steel industry. This article leads industries to green industry. In this case, energy, material, capital consumption and environmental damages as sustainability patterns of environment have been investigated in three different dust collectors to select the most environmentally suitable dust collector for different furnace tonnages. In this way total cost in 3 mentioned dust collectors were calculated in four furnaces with capability of 1, 3, 6 and 12 tonnages. The results indicated that venturi scrubber dust collector for 3-ton and less capability furnaces was the most suitable option in terms of environmental sustainability and industrial ecology. But for the capacities beyond 3 tons, the usage of bag filters and electrostatic precipitator dust collectors were more suitable. R. Lifset, R. Anex: J. Ind. Ecol., 13(2009), 347. M. H. Joulazadeh: Proc. of Steel Symp. on Research on energy consumption of steel industry., (2006). E. S. Manahan: Industrial Ecology: Environmental Chemistry and Hazardous Waste Cleaner Production, Taylor & Francis, (1999). J. Krupnick, D. Burtraraw: Resour. Resour. Energy. Econ., 18(1996), 423. P. Harley: Safety and health in the iron and steel industry, International Labor Office, Geneva, (2005), 49. G. Berwick: New technology can drastically reduce global warming, QAM, Canada, (2010). T. Wayne: Air pollution Engineering Manual, John Wiley and sons, (2000), 632. V. Schmatloch: J. Electrostat., 63(2005), 85. J. Podliński, J. Dekowski, J. Mizeraczyk, D. Brocil, K. Urashima and J. S. Chang: J. Electrostat., 64(2006), 498. J. R. Couper, W.R. Penney: Chemical Process Equipment, Elsevier Science, (2012), 691. N. P. Cheremisinoff: Handbook of Air Pollution Prevention and Control, Elsevier Science, USA, (2002). J. Hautanen, K. Janka, J. Koskinen, T. Kivisto, M. Lehtimaki: J. Aerosol. Sci., 17(1986), 622. L. Linmao, J. Guo, J. Li and L. Sheng: J. Electrostat., 48(2000), 81. R. S. Islamov, Y. A. Krishtafovich: J. Electrostat., 69(2011). C. Jakober, T. Phillips: Evaluation of ozone emission from portable indoor air cleaner electrostatic precipitators and ionizer, Staff Technical Report, (2008). N. D. Nevers: Air pollution control engineering, McGraw-Hill, (2000). I. E. Agranovski, J. M. Whitcombe: J. Aerosol. Sci., 31(2000), 164. S. Calle, D. Bemer: Powder. Technol., 128(2002), 213. X. Simon, D. Bemer, S. Chazelet, D. Thomas and R. Regnier: Powder. Technol., 201(2013), 37. Karbasi, M. A. Shafizade: Environment Management Plants, Iran Energy Efficiency Organization, (2005) (in Persian). A. C. Caputo, P. M. Pelagagge: Environ. Manage. Health., 10(1999), 96. J. Korhonen: J. Cleaner. Prod., 12(2004), 809. D. C. Mussatti, W.M. Vatavuk: EPA Air pollution control cost manual, United States Environmental Protection Agency, (2015). ACGIH: Industrial ventilation, Michigan, USA, (2002). C.D. Cooper, F. C: Alley Air pollution control a design approach, Waveland Pr Inc, (2009). S. Panich: Resour. Conserv. Recy., 16(1996), 71. S. Baha: How can we reduce the energy consumption of pulse-jet dust collectors in order to reap economic, Ecological and Social Benefits, Thesis, Royal Roads University, (2005). M. Sillanpaa, et al: J. Aerosol. Sci., 39(2008), 335.